Food and beverage have witnessed healthy growth over the past couple of years and with this trend, there have been some significant shake-ups. The sector has moved increasingly from imitation to innovation. That future may still be some way off, so what are the near-term trends we can look forward to? Here are the top 5 hospitality trends that will continue to challenge, disrupt and entice producers and consumers – bon appetit! The food and beverage sector in India is extremely evolving in nature with even more evolving restaurant trends. This sector is already the largest retail consumption category in India, accounting for approximately 31% of the country’s consumption basket, compared to 9% in the US, 17% in Brazil and 25% in China. With population growth, globalization and coming of internet, food trends in the restaurant space are undergoing an all-time change. Here we have tried to put in a nutshell the various new restaurant trends that you can expect to see in 2018. As per a report from NRAI, annual sales in the restaurant industry are $783 billion and annual food and beverage purchases are projected to be at $279 billion. Considering the huge potential that this sector stores we have tried to narrow down the basic trends that you can expect to encounter in the upcoming year. This is a new concept which is garnering a lot of appreciation and eyes in the market. This essentially means a person who cooks in their home. While this format is similar to a cloud kitchen, it has their differences. In a cloud kitchen, one generally hires a chef, rents a place, and gets the equipment in place and many a time one also hires a few staff to get the work done. On the contrary, a home cook himself or herself takes orders and cooks right from their home kitchen. The success is not because of homemade food, but for the fact that the home cooks have been doing this job over the past 10-15 years, and in the process have gained immense exposure and experience. We are nowadays always on the lookout for places that will take us away from the common, from the busy noisy concrete jungles. This is one of the main reasons why restaurant owners are increasingly looking for properties which are almost 20-30 kilometers away from the heart of the city on a highway. Highway restaurants are coming up in a big way, where there is ample of an open place, terrace or probably a garden area. The rent of the property is also lower than that of a space in a posh locality. It gives everyone a break from monotony of everyday routine and gives them not just good food but also a great experience- something that big names in restaurant industry have been counting on to hit as a trend in 2018. This year, much of the importance is given to the authentic native cuisines of India. The year has witnessed people returning back to their roots. Currently, there are various restaurants which focuses on various international cuisines, however, there are hardly few restaurants which gives due attention and credit to the native food culture. Think yourself, how many good restaurants serve Meghalayan cuisine, for example? Regional foods are being explored and more local produce is being given value. Farm to table practice is going to hit the trending charts as local produce is given more importance over imported stuff and regional cuisines take the front seat. Jute leaves are making an entry with localisation of inventory and regional food changing the restaurant trends. Apart from this, whole foods are the biggest trend in the food sector. They are perceived to be very good for health because they cut carbohydrates and avoids gluten. Whole food is essentially those that have been processed or refined as little as possible and is free from additives or any other artificial substances. When it comes to the list of whole foods it includes items like wellness tonics, purple cauliflower, coconut chips, alternative pasta and beet noodle. Millennials are now preferring wholesome soup meals and bowls that is also easy on the pockets. Fermentation will also take a high ground when it comes to food. Indian food already uses fermentation while cooking and this method will make its way up to food invention and experimentation in 2018. Power food is also going to be a big trend in Indian food industry in the coming years. Chia-seeds, flax seeds, turmeric and veggies will find their way not just to restaurant food plates but to households in general following the whole fitness wagon. Gluten-free food is the next talk of the town and will probably start off as a rising and viable food trend. Middle Eastern appetizers such as hummus, or items such as shawarma and Falafel are already the favourites of many. Middle Eastern spices are also creeping in to give a distinct flavour to your taste palate. Za’atar, an interesting blend of thyme, oregano, marjoram and sesame, makes a great seasoning for chicken and flatbread. If you ever have grilled haloumi them you will consider called mozzarella sticks to be your favourites! We will witness a steady move beyond the standard curry towards fast-casual street food. New menu innovations like tandoori chicken poutine or spicy lamb burritos or chicken masala pizza will be featured on the menu. India will also see upscale Korean restaurants, which will come up in a big way, which will include fermented food, umami, and lots of spices into complex dishes. A focus on Persian, Israeli, Moroccan, Syrian and Lebanese cuisines is also highly expected to revolutionize restaurant trends that India will see in 2018. 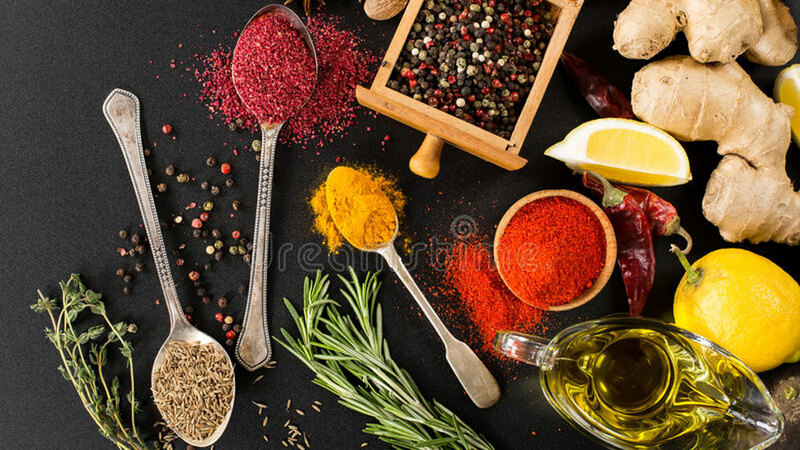 Apart from these regional Indian foods will hit the charts as more flavors from North-eastern and tribal belt are discovered. Kashmiri, Himalyan and even local Bhojpuri food will find an audience coming from curiosity and upholding a spirit of experimentation and new tastes. While international foods will get a warm reception, local produce and country’s own dishes belonging to different cultures will enter the limelight this 2018. There is a huge population in India who prefers to remain vegan. Hence, if you want to harness the potential of this huge crowd of vegans, then you must bring innovative vegan alternatives on your menu. Plant-based Sushi has already been creating a buzz around the country. Even whole foods now offer tuna roll alternative which is made from tomatoes. The strategically engineered plant-based foods are becoming a well-grooved plan to attract the all the vegans out there! Things like soy-milk and grain cheese will hit the markets and diets of even those who are not vegans because of their nutritional qualities. The breakfast menu is coming up in a big way. Whether it is waffles or pancakes, people are indulging in such dishes and are satiating their sweet tooth not only during the breakfast time but all around the day. With this change in the attitude of the consumers, restaurants nowadays are not only offering breakfast menu throughout the day, they are also bringing in innovations almost every alternate day. Be it waffle sticks, waffle sandwiches or variations in the domain of pancakes, they have all managed to hitch the customers with their tantalizing taste.